1. 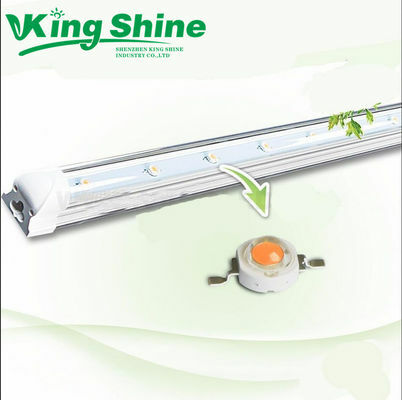 20W Led Tube Grow Lights can replace 3-5 times power traditional lights, while 80% energy saving . 2. Combine with aluminium alloy base, PC cover and 20pcs 1w high power led, built-in 1pc 20w constant current power supply for high performance and low power consumption. 4. Customized wavelength available, common wavelength we adopt is Red 620-640nm, Red 640-660nm, Blue 450- 460nm, Blue 460-470nm. 5. Suite for various plants in all grow period, well used in greenhouse, Indoor garden, Hydroponics. 8.Long lifespan up to 50000h. 9.Using aluminium alloy base for heat dissipation, which can cool down working temperature of tubes effectively to ensure the lifespan. Some suppliers suggest R:B=2:1/3:1,4:1 or even 8:1,9:1,the biggest problem for those color ratio is plants can not absorb all lights evenly .Like our T8 20W tube,1.2m,if use R:B=9:1,the distance between the first red led chip and the first blue led chip is around 0.6M!!! It means the 80% plants only absorb red light,20% plants only red light . According to plants photosynthesis ,they need both blue and red lights . Some other supplier abject to this ,we use pink full spectrum color LED ,this problem no longer exist ! 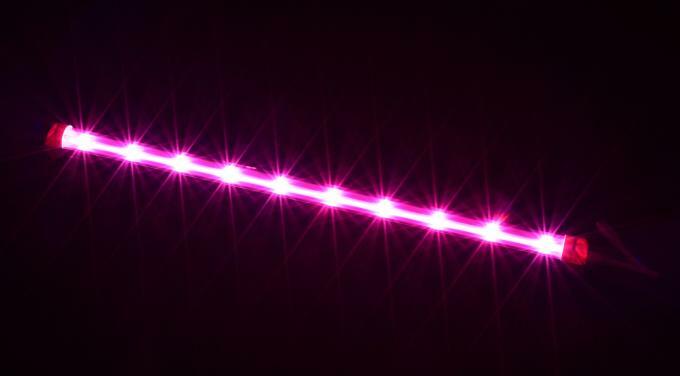 Yes,pink full spectrum led grow chip lighting plants well-proportioned and for small grow area is totally no problem . But what if for big grow systems ? One of Japan famous University professor remark : people working long time in the pink environment will feel depressed .Bright lights let people feel confidence and positive . 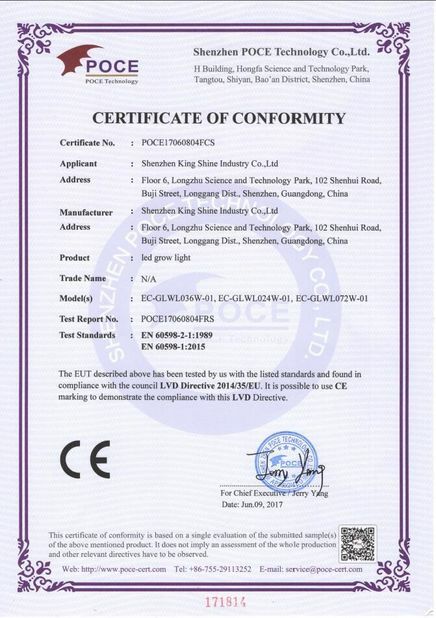 Our white color full spectrum solved above problems,spectrum still with most red and blue colors which is important for plants .China Agricultural University professor says it is a innovation improvements for the whole led grow light market ,this give us more confidence and we believe we can expand to growers and customers all over the world . 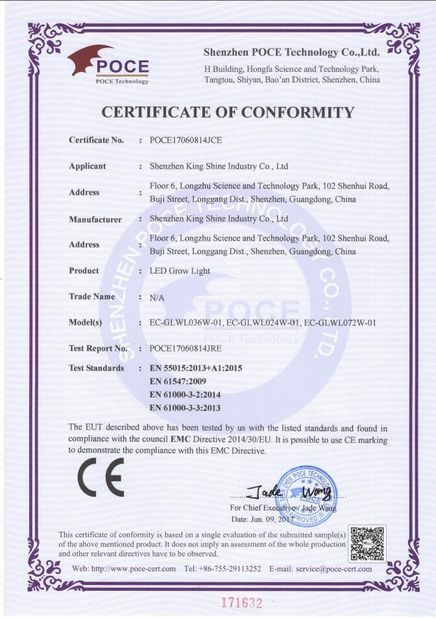 Why we use 1w high power LED NOT SMD2835/5050 ? Our T8 20w led grow tube adopt 20pcs 1w led chip with original US brand 45mil Bridgelux,output power is 22W . If use SMD2835/5050 instead, and red blue leds ,output power only around 13-15W .More important is much less PPFD (umol/m^2/s) and LUX . 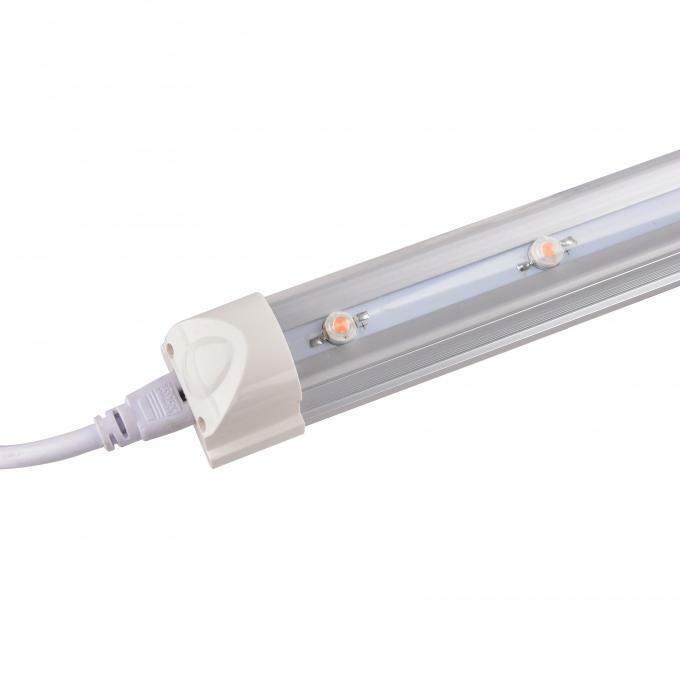 Our grow light tube’s PPFD (umol/m^2/s) could reach 60 @ 20cm height above plant ,LUX is 1500, SMD2835/5050 only around 25 and LUX is 750 at the same height . Plants become smaller,root stem very thiner if they can not absorb as much PPFD and LUX as they can .